An exciting new mesothelioma clinical trial was just announced by the National Cancer Institute. The trial, which starts November 3, 2017 and runs for three years, will test a combination of traditional mesothelioma treatments and mesothelioma immunotherapy. This mesothelioma clinical trial is exciting for two reasons. First, it will test atezolizumab (sold under the brand name Tecentriq), an immunotherapy drug that has been approved for non-small cell lung cancer but is not yet approved for pleural mesothelioma. Second, it will test a different treatment protocol for some common mesothelioma treatments. This mesothelioma clinical trial (ClinicalTrials.gov identifier: NCT03228537) reflects a tactic that’s becoming increasingly common in mesothelioma treatment. It might be called the “throw everything you’ve got at it” approach. Doctors and researchers are finding that combination treatments extend life expectancy for mesothelioma patients. This study appears designed to find more and better ways to use all the weapons in the cancer treatment arsenal to keep pleural mesothelioma from progressing. This mesothelioma clinical trial has the potential to pave the way for new and better mesothelioma treatment options. This is welcome news for those who get to participate in the trial and for mesothelioma patients everywhere, who will benefit from the results. According to the ClinicalTrials.gov listing, the trial will study “Atezolizumab, Pemetrexed Disodium, Cisplatin, and Surgery With or Without Radiation Therapy in Treating Patients With Stage I-III Pleural Malignant Mesothelioma.” There will be no masking, which means that there will be no control group. The trial is to find better treatment options, and all participants will be given the full treatment. Chemotherapy combined with surgery is considered the standard of care for mesothelioma patients. Radiation is a common mesothelioma treatment as well. Doctors have found that mesothelioma patients do much better when they receive at least two types of treatment. This combined approach is called multimodal mesothelioma treatment. The most effective mesothelioma treatment combination is surgery plus chemotherapy. For more advanced patients (Stage IV and sometimes Stage III), surgery is not an option. Some patients may have other ailments that make them too weak to withstand surgery. For these mesothelioma patients, chemotherapy and radiation may provide the best relief. Increasingly, immunotherapy has become part of multimodal mesothelioma treatment. Immunotherapy is most often used as a second-line treatment. This means that patients are given immunotherapy drugs after more conventional treatments stopped working. 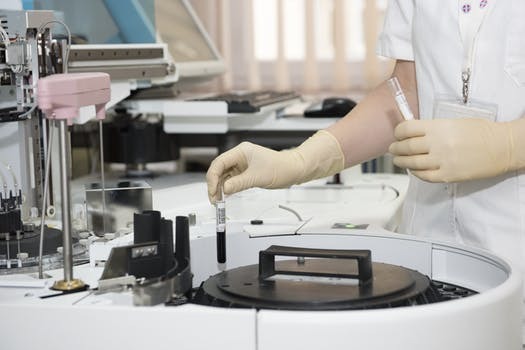 Mesothelioma clinical trial NCT03228537 takes the multimodal approach to a new level, combining all the standard mesothelioma treatments and adding experimental immunotherapy. One of the unusual aspects of this mesothelioma clinical trial is that all three drugs (two chemotherapy drugs and one immunotherapy drug) are given at the same time. Mesothelioma chemotherapy and immunotherapy are usually adjuvant treatments. Adjuvant treatments are given after another treatment. Chemotherapy and immunotherapy are usually adjuvant to mesothelioma surgery. This study turns the normal order on its head, using immunotherapy and chemotherapy before surgery, to reduce the size of the tumor. Pre-treatments like this are called neoadjuvant treatments. The trial will follow up with adjuvant radiation and more Tecentriq immunotherapy after surgery. There are several immunotherapy drugs on the market. Immunotherapy drug Keytruda has shown promise for mesothelioma patients. Tecentriq is still in the experimental phase for mesothelioma, but patients and researchers have high hopes that it will be an effective treatment for some mesothelioma patients. Tecentriq is a monoclonal antibody that blocks cancer cells from using a particular mechanism (the PD-L1 pathway) to down-regulate your body’s immune response. It is one of a class of immunotherapy drugs (along with Keytruda) called checkpoint blockers. When a treatment is lab-tested, the next step is a clinical trial using human subjects. Most clinical trials have three or more phases. If the first phase is successful, the research will advance to phase II. If not, the trial may be abandoned. With each new phase, a mesothelioma clinical trial will include a larger group of patients. Trial NCT03228537 is a phase I pilot. Though several components of this treatment study are known to work well for mesothelioma patients, the protocol is untested, as is the immunotherapy drug Tecentriq. Because this is a phase I mesothelioma clinical trial, the number of participants will be small. Mesothelioma patients often seek out clinical trials. While you are enrolled, you receive the best possible treatment. Researchers closely monitor your condition, so they can catch changes early. Plus, you have the chance to receive cutting-edge mesothelioma therapy. If a new treatment is successful, it could become the standard of care in the future – and you will be one of the first mesothelioma patients to benefit. When you enroll in a clinical trial, the researchers hope that you will stay enrolled until the trial is complete. However, you are free to drop out at any time. If the treatment becomes too much for you to tolerate, the physicians overseeing the study will work with you to alleviate any side effects and will stop treatment, if necessary. Am I Eligible for this Mesothelioma Clinical Trial? Mesothelioma clinical trial NCT03228537 will study 28 patients. It is based in Portland, Oregon. You must be a Stage I-III pleural mesothelioma patient with no peritoneal spread. You must have a resectable (able to be removed through surgery) tumor. Your mesothelioma cell type must be epithelioid or biphasic (not sarcomatoid). You must not have had mesothelioma immunotherapy or chemotherapy treatment before the study. You must meet certain health requirements and undergo specific tests. If you are interested in participating in this mesothelioma clinical trial, speak with your physician about whether it’s a good fit for you. If you have questions specific to the trial, you can contact the trial recruiter, Anne S. Tsao, at 713-792-3245. This is just one of a number of mesothelioma clinical trials in the United States. Let your doctor know, if you are interested in being part of a clinical trial. Visit ClinicalTrials.gov and watch this website for our launch of clinical trial information to find out about other upcoming studies.